This gadget-laden power suit of Batman’s only appeared in one story, but it is easily the most memorable moment in the history of DC Comics. 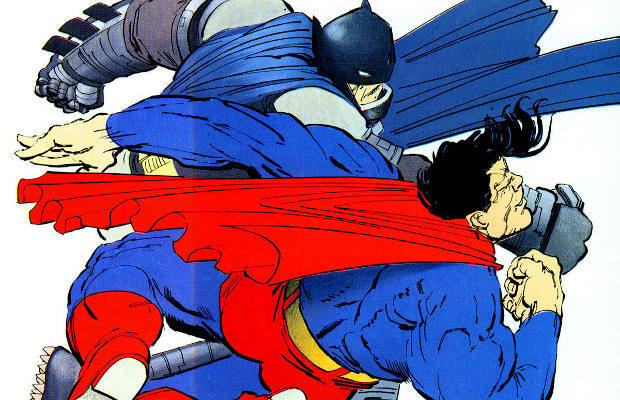 When Frank Miller portrayed Superman as an out of control tool of the government in his neo-noir epic, The Dark Knight Returns, it was up to Batman to take him down. Obviously Batman can’t handle the Last Son of Krytpon on his own, so he employed the use of a gargantuan power suit to aid him. Enhancing his strength and durability by incalculable amounts, the newly-armored Batman finally took down the Man of Steel—with some help from the Green Arrow and his kryptonite arrows, of course. This was one badass piece of machinery; however, we’re glad he only used it once. After all, he’s Batman not Iron Man.